Starting in Almaty, the cosmopolitan centre of Central Asia and the former Soviet capital of Kazakhstan, this tour winds its way through some of the weirdest and most wonderful parts of Kazakhstan, before eventually finishing in Astana, the country’s new capital, and a showcase to the all-powerful President’s love for unique architecture. On the way, you’ll see 13th Century mausoleums in Turkestan, and abandoned ships in the ever-receding Aral Sea. 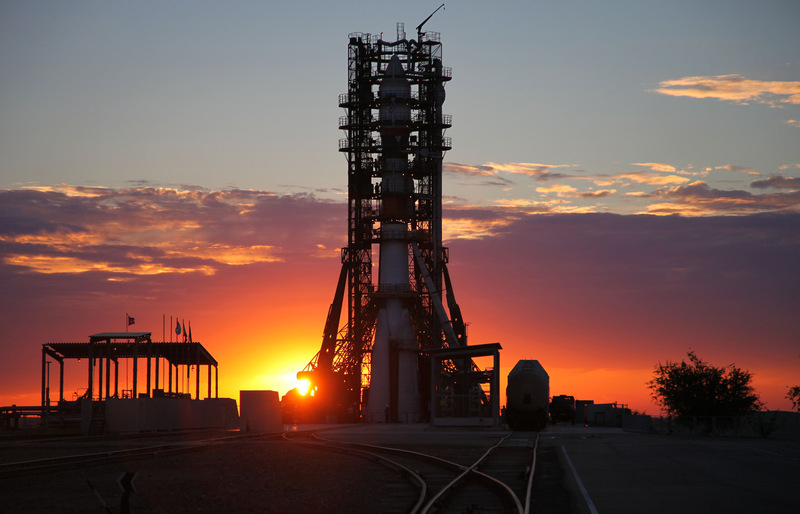 After hanging out with some fishermen, you’ll then get to Baikonur, the Russian Cosmodrome, where not only will we get to see some of the world’s most famous rockets, but we might even get to see a real-life rocket launch! Continuing on from Baikonur, you’ll see some of Kazakhstan’s natural wonders on the Mangyshlak Peninsula. Staying in yurts and learning some of the traditional ways of life of nomadic Kazakhs, we’ll explore the valleys, canyons and weird rock formations of the region, of which our favourite is the Valley of the Balls. Yep, it’s a large valley covered in large rock balls. Please note: the latest we can take bookings is 50 days in advance (May 16th) in order to get the permission for travel to Baikonur in time. Arrive at Almaty International Airport, where you’ll be met by your YPT guide. If you’d like to arrive a day or two before the tour to spend some extra time in Almaty, let us know and we can help you make some plans. We’ll start with visiting Panfilov Park, named after the 28 Panfilov Guardsmen from Almaty, who died during the Battle of Moscow in 1941. Within the park, you’ll see Zenkov Cathedral, a Russian Othodox Church which happens to be the largest wooden structure in the world constructed with only joins, and no nails. Take a ride on the Almaty metro. One of only two metros in Central Asia (the other being in Tashkent), it has only nine stations, so is largely useless to the majority of people. However, like many metros in the former Soviet world, the stations themselves are ornately decorated, sparkling clean, and well worth a look at. Driving out to the suburbs of Almaty, we’ll make a stop that isn’t on other tour itineraries, and in fact, most people in Almaty aren’t even aware of this gem of Soviet history. Hidden in amongst medium density housing, there’s a park which is now home to all the unwanted Soviet statues that were moved from their original places throughout the city, and dumped unceremoniously here. Our favourite is the giant Lenin which used to be in Old Square, removed from his plinth and just standing flat on the ground with no sign or plaque to be seen. Catch the overnight train to Turkestan, leaving at 17:59. Arrive in Turkestan at 9:00. Visit the mausoleum of Hodja Ahmed Yassavi and the Mausoleum of Khawaja Ahmed. The Mausoleum of Khawaja Ahmed is an unfinished mausoleum, which was commissioned in 1389 by Timur, who ruled the area as part of the expansive Timurid Empire. However, construction was halted with the death of Timur in 1405 and strangely, the mausoleum has remained unfinished ever since. Visit Sauran City, which was one of the most powerful Turkestan castles in the 13th-18th Centuries, and for a time, was the capital of Ak Orda. Return to Turkestan and transfer to the train station to catch a train to Tyuratam at 19:12. Arrive in Tyuratam at 06:00. Check in to the hotel and have an early breakfast, before getting to what we’ve all been waiting for. Visit the Baikonur Cosmodrome, including Buran, the memorial houses, and the museum. Be a spectator for the Soyuz rollout and installation, and visit the Pl 254 rocket. Drive 250km to the Aral Sea, around 3 hours, arriving in the evening. Spend the night at a homestay. In the morning, explore the local market and the former fish receiving station. 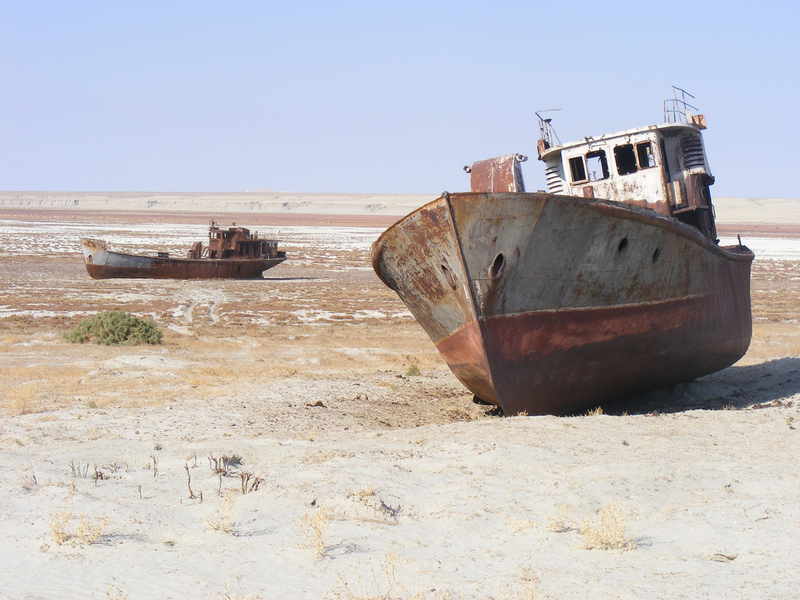 Drive to the “ship graveyard”, an area where several fishing vessels have been stranded in the desert as the Aral Sea has receded further and further until now it is basically nothing. Continue to Tastubek village. Almost completely untouched by tourism, and far from regular civilisation, this is a great opportunity to experience the daily life of fishermen and their families. Eat lunch with one of the local fishermen in his family’s house. You might get the opportunity to try shubat, a traditional Kazakh drink made of camels’ milk. And finally, you’ll get to see the sea itself, now a shadow of its former self. We’ll drive there in the afternoon, and if you’re lucky you might even find a local fisherman happy to take you on his boat for a small fee. Dinner in a homestay, or at the shore. Drive approximately 25km to the canyons. Visit some underground hot springs, where you might meet some locals who have come to collect the water for its health benefits. Drive around Akespe village, exploring the sand dunes the village is built into. Continue on to Aralsk, and have lunch in a homestay. In the evening drive to the Baikonur checkpoint. Dinner in the hotel at Baikonur. 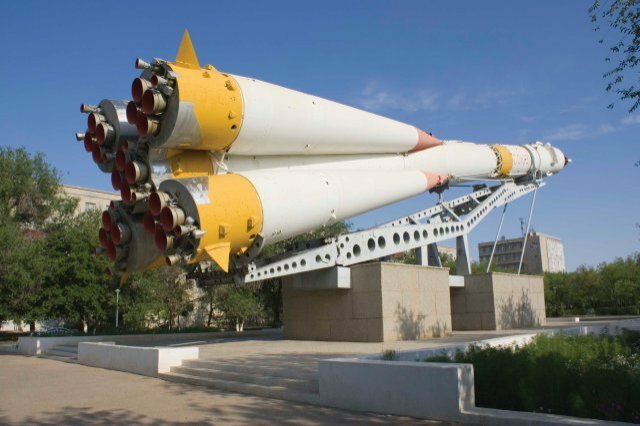 Attend pre-commissioning works and have a city tour around Baikonur. Transfer to Pl 17 and Pl 72, two of Russia’s space program’s most famous rockets. Visit the Alley of Cosmonauts and the Cosmodrome. And fingers crossed, we might even get the opportunity to witness a rocket launch. The schedule is released only a few weeks in advance and is likely to change, so it’s hard to predict. Catch the train to Aktau, leaving at 06:07. Lunch, dinner and overnight on the train. Arriving in Aktau at 12:30, stop for a quick lunch. Leaving the city, drive out to Kapamsai Canyon. Continue on to the Torysh, otherwise known as the Valley of the Balls, a fascinating and unique plateau covered in huge rock balls. You’ve got to see it to believe it. Legend has it that the land was being invaded, and in answer to the locals’ prayers for help, the heavens opened and amidst thunder and lightning, the enemies were instantaneously turned to stone. Over many generations, the rocks have worn down and most are somewhat ball-shaped, but there are still some that look like mushrooms, cylinders and animals. Stop on the way at Shopan-Ata Rocky Mosque. Drive to Airakty Valley where we’ll camp the night in tents. For dinner, we’ll have the pleasure of taking part in a master class with some locals. If you like you can join in and learn how to cook some traditional Kazakh meals, or if you prefer, you can just sit back and enjoy the food. Drive to Sherkala Mountain via Shetpe Village. 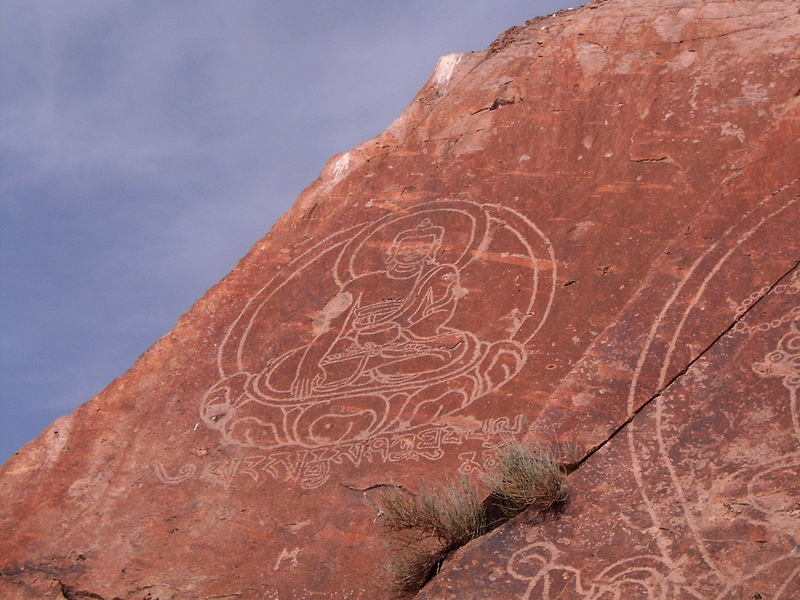 Steeped in legends, Sherkala Mountain is the natural symbol of Mangystau. From a certain angle, it looks like a giant yurt set up by the mythical giant nomads. One of the legends goes that once upon a time brave knights were holding their defence from hordes of enemies on Sherkala Mountain. They fought like tigers and the last defenders of the mountain disappeared into the underground mountain passageways and stayed there forever, and so it was given the name of this bastion of heroism and independence – Sherkala or Tiger City. Drive to Tuzbaiyr Valley (110 km), an incredible display of steep clay-limestone and chalk cliffs surrounding a vast salt marsh, in the middle of which is a huge natural arch created by the wind. After heavy rainfalls or snowmelt, the salt marsh turns into a spectacular salt-mirror. If you’d like, go for a hike in Tuzbaiyr Valley and get a panorama view of the salt lakes. And tonight you can take part in another cooking master class, this time of nomad bread baking. Drive to Nayza Mount, then on to Bozjira Valley on the Ustyurt Plateau (50 km). This bizarre valley is surrounded by an amphitheatre of natural oddities on three sides, and all in white; canyons, peaks, mountain towers, mountain castles, and mountain yurts. Hiking up to Bozjira Mount Panorama Place, you’ll be able to get breath-taking views, and of course great photos, of the whole valley. Continue on to Bokty Mount via Tyuesu Sands. The mountains of Mangystau are famous for their strange shapes, and this is a great example. Bokty Mount is located on table-flat clay, and at one angle it looks like a giant inverted boat with dark brown algae on the bottom, white sides, and a red and yellow waterline; at the other, it is an alien and a pyramid. Return to Aktau and free time for the evening. Fly to Astana in the morning, arriving at 11:30. Driving tour of Kazakhstan’s capital city. Built in 1997, Astana resembles in many ways other cities such as Ashgabat, or to a lesser extent Baku. Clearly built from nothing at the snap of a finger, several of the world’s most iconic architects were given carte blanche and tasked with the epic job of designing an incredibly unique city. We’ll start the city tour with a visit to Bayterek. Sometimes referred to as the “Chupa Chup” because it looks like one, Bayterek has become a symbol of Astana. From the viewing platform, which is 97 meters high, symbolising the year of the city becoming capital, you can get spectacular views of the new city. Next, you’ll visit the Palace of Independence, where you can get an overview of the plannings of Astana. And if you’re game for it, there’s even a 4D film you can watch! Visit the shopping and entertainment centre “Khan Shatyr”, probably Astana’s most famous building. The building is in the shape of a giant, slightly lop-sided tent and is listed on the FORBES list as the most unique building. Designed to be a prototype of a futuristic city which can autonomously maintain the necessary conditions for comfort, not only is it perfectly climate-controlled, but it’s got everything inside that you might want. Restaurants, luxury shops, an aquapark which has sand imported from the Maldives, a small roller-coaster, a kids’ game park, and most excitingly, a display on how the President came up with the concept of the centre. Farewell dinner in a local restaurant. If you would like to spend longer in Astana, let us know and we can help you make your plans. Baikonur – visiting a real working cosmodrome in rural Kazakhstan; if this isn’t living the dream we don’t know what is. And fingers crossed, we might even get the chance to see a live rocket launch! 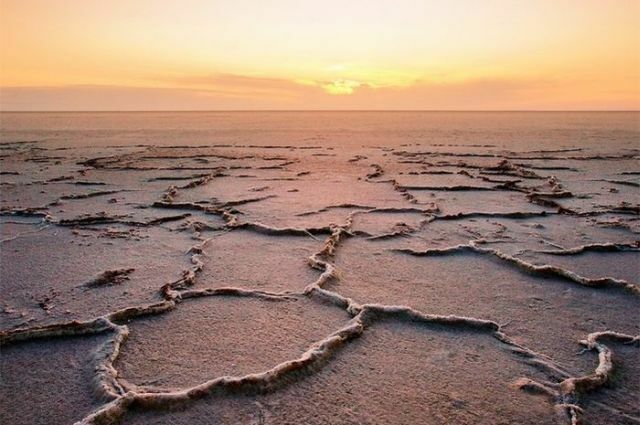 The Aral Sea – one of the world’s most notorious man-made natural disasters, it won’t be long until there’s nothing left here to see. Finding shells on the desert floor and exploring abandoned, rusty ships, it’s a very surreal place to be. The Valley of the Balls – yep, it’s a large flat area covered in huge balls of rock. Legend has it that the balls are in fact enemies of the locals who were punished for trying to invade the land. – Other expenses such as drinks, souvenirs, etc.